How's your weekend? My Saturday has been amazing so far. I went to brunch this morning with my girls and the food was delicious. God I love brunch. We chatted for hours and hours, nothing and no one could stop us, haha! 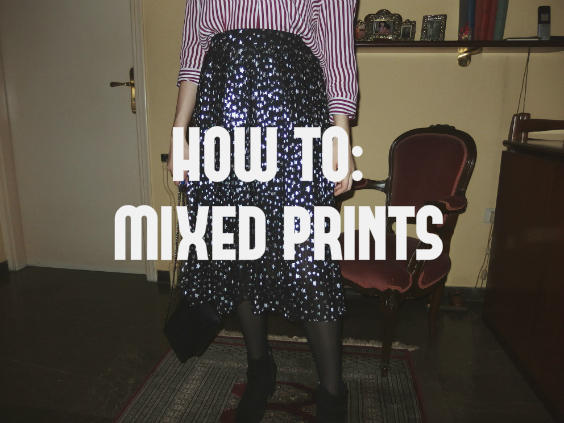 I'm now spending my Saturday evening chilling and editing this blog post which I'm very excited to share with you. 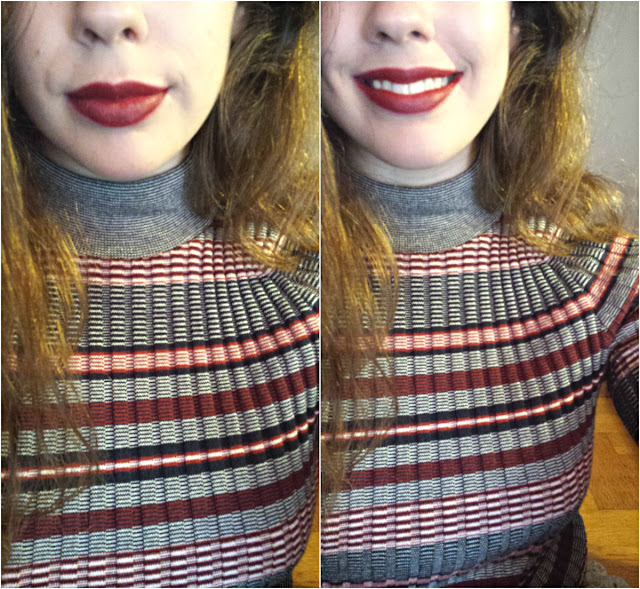 I know the vampy red lip has been pretty popular for a while and it's now a staple for Fall. As soon as the first autumnal chill kicks in, the Internet is bombarded by posts and videos on seasonal looks that feature none other than that bold shade of red that looks fierce but a little bit scary nonetheless. For years I shyed away from shades like that. 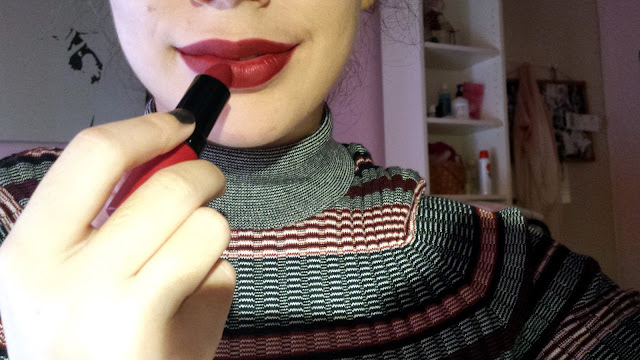 The one that I am wearing today is actually much lighter than what is generally considered as "vampy" (think MAC "Cyber"), but it is still an iconic Fall/Winter hue that is well-loved among the blogosphere. My favorite time, however, to don these deeper, sultrier shades of red and plum, is the holiday season. It's my best excuse to go a little bolder, a bit "goth glam" if I'm allowed to say that (sorry dear goths, I know I'm totally butchering "your look"). 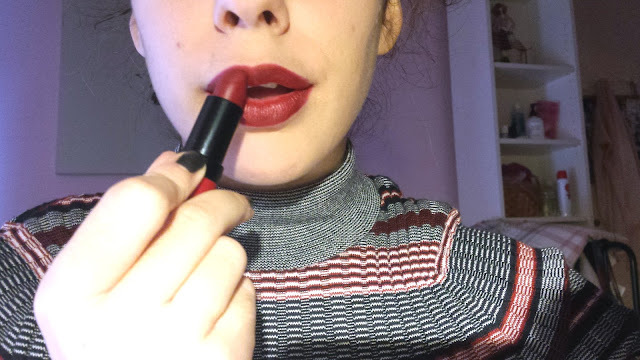 It may not be Christmas just yet, but Rimmel's 107 lippie from the Kate line (as in Kate Moss), is just another tidbit to get me into that festive mood. The thing that scares me the most when it comes to bold lips is application. 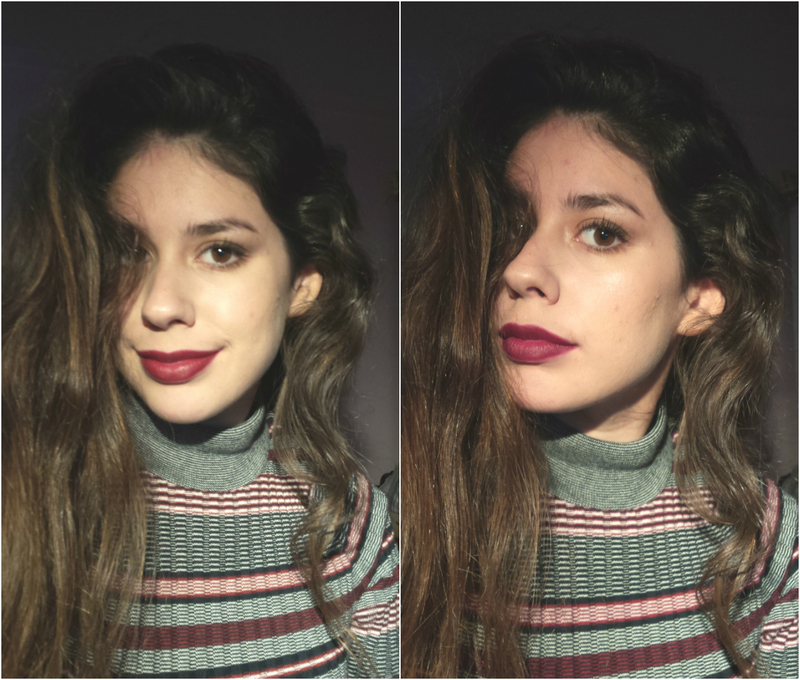 I'm the kind of girl that can whip up a perfect smoky eye in no time, but bold lips always make me nervous. I struggle to perfect the shape, to make sure the color is even all over, to find the shade that works the best for me, to figure out whether I prefer liner or not or lip brush etc. There's so much more science that goes into a red lip than you would imagine. But, just like with everything else, you can only learn through trial and error. And believe me, it took many frustrating trials and errors for me to get to a happy place. 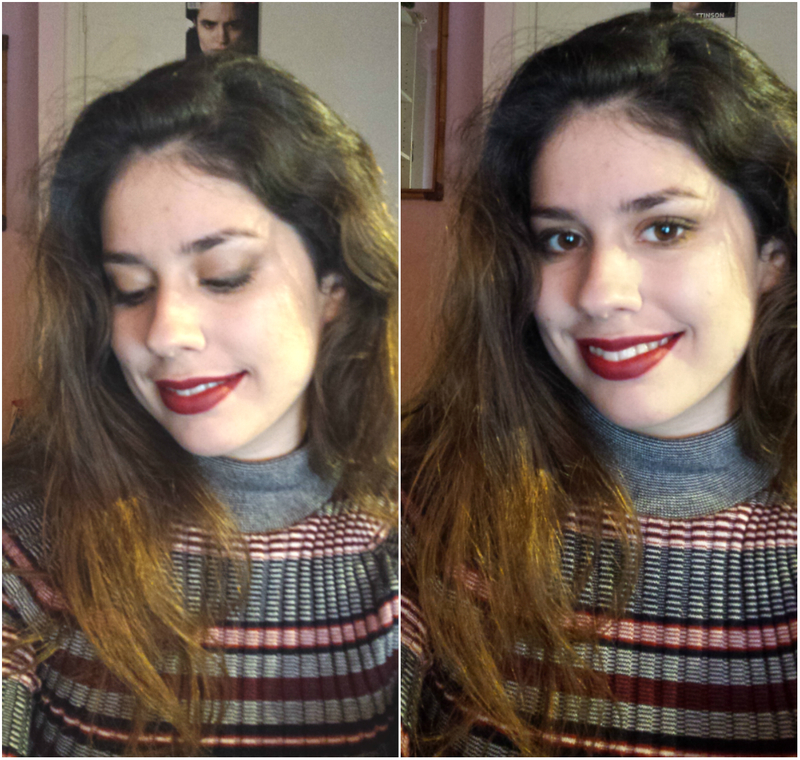 For the tutorial I'm using: Rimmel Kate lipstick in 107 and Jordana Easyliner for Lips in Plush Plum. Start with a clean, scrubbed and moisturized mouth. Dark colors have the tendency to catch on any imperfections, instantly rendering the color uneven. Polish away any dry patches and flakiness with a lip scrub. Don't have any? Just mix a bit of sugar with some olive oil (or any oil of your liking) and rub it on your lips. Rinse and make sure there are no traces of oil left. Apply some lip balm and let it sit while you're doing the rest of your makeup. Once you get to your lips, remove the excess with a tissue or a q-tip. There should be zero greasiness left behind. Line your lips with a matching lip liner. Make sure to fill the lips in all over, not just the periphery. You want a uniform base for your lip color. This will ensure that once your lipstick starts to fade away after hours, it will do so evenly, without leaving behind the so-called "lipstick mouth" . You can darken up the edges if you wish, for a more defined look. 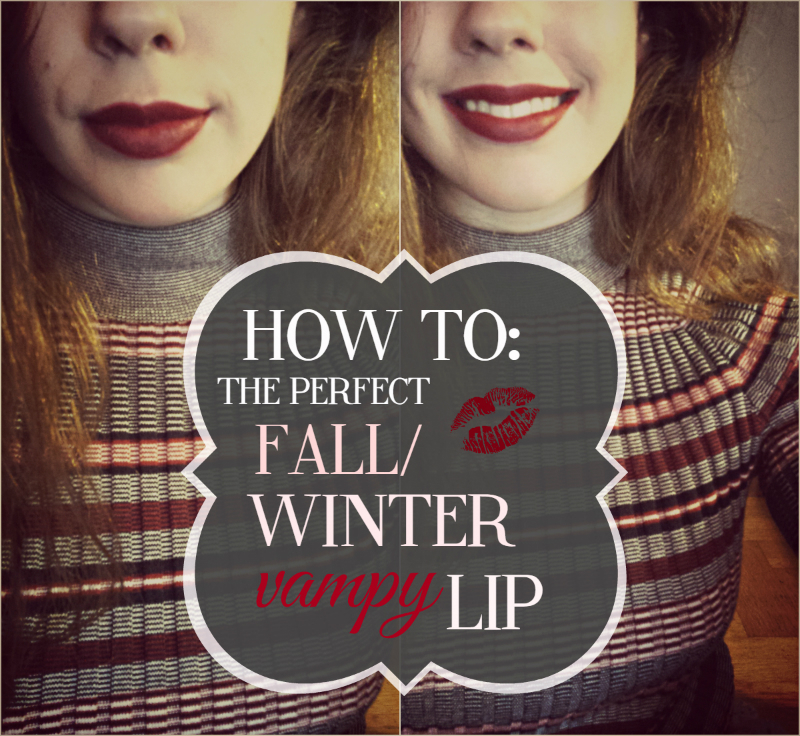 If you want to "cheat" the shape of your lips, now is the time to do that. For a fuller pout, go slightly (!) above the lip line, but do not overline. Apply one layer of lipstick. I used to use a lip brush for the job, but frankly, I don't see the point. Don't overcomplicate things. Just apply one coat of lipstick straight from the bullet, but don't exceed the shape you have mapped out with your lip liner. Rub your lips together to work in the color. Blot away. Blotting is very important to lock in the color and increase the longevity of your lipstick. 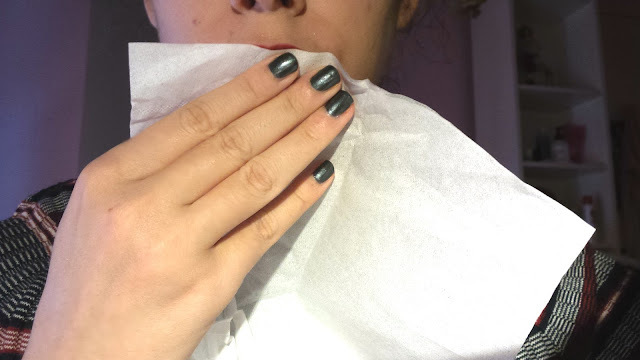 Pat the tissue very well (not lousely like I am here) by holding it over your mouth with one hand and patting in with the other. Apply another layer of lipstick. Apply one more coat to intensify the color. You can repeat the process of blotting and applying once or twice. 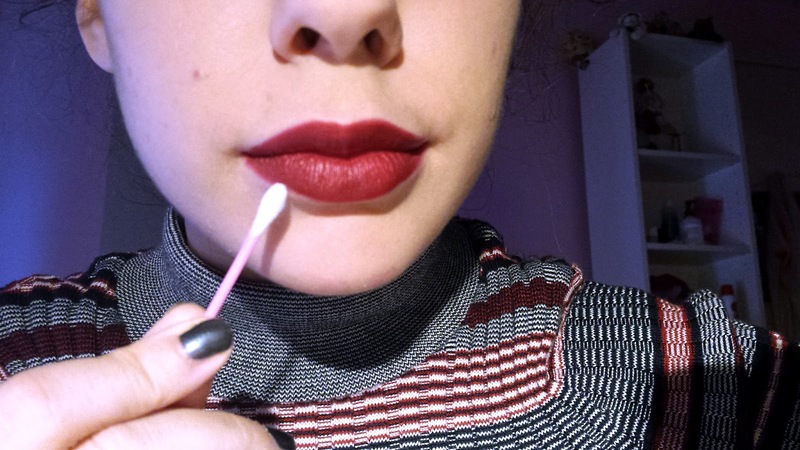 Soften the lip line with a cotton bud (optional). This trick is one that I found out rather recently, but it makes a huge difference. This is not necessary, but it adds a more effortless look while blurring out any minor uneveness. Lots of makeup artists use this trick, but it comes down to your preference. ... and that's the finished look! As for the rest of my makeup, I chose to go with a very subtle smoky eye and dewy skin. I hope you found this useful! 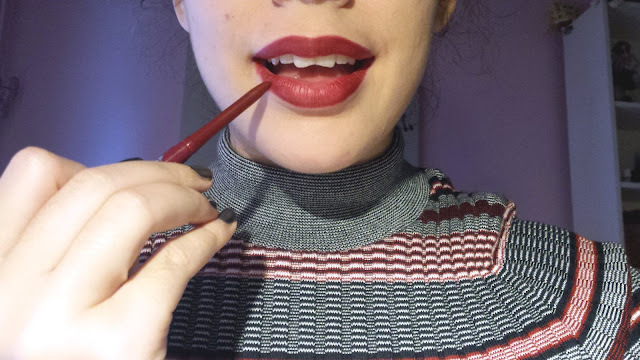 Let me know your favorite shade of vampy red and if you find applying it as tricky! Such a great, informative post! I love a good vampy lip for Fall as well, but I'm afraid of messing up the shape of my lips or having it bleed out or something. Also, i've never really understood the point of a lipstick brush either. What the hell is that thing for? You have some really good tips here and I love the fact that you chose a beautiful shade that's not a billion dollars like some high end brands. Glad to hear your weekend is going well with brunch and all :) I hope you Sunday goes just as well! Thank you so much for the kind words. Lip brushes are kinda redundant in my opinion, unless you're a makeup artist. 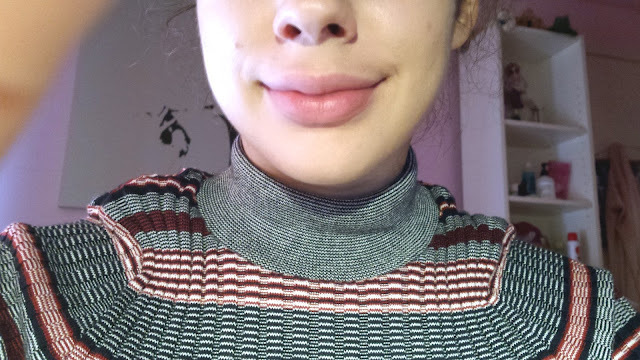 I'm so glad you found the post useful, I really enjoy making beauty-related posts since it's kind of a new and exciting thing for me. 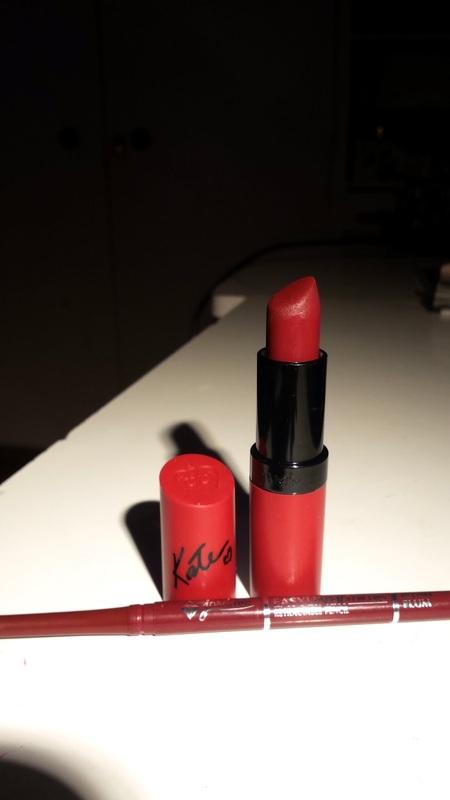 The Rimmel Kate lipstick line is a really good one from the drugstore. I wanted to make the post accessible to everyone since I find that lipstick is a makeup item that doesn't need to be expensive in order to be good. Most of my lippies are from the high street. Those brunches are priceless. I miss doing that with my old friends. I will do the cotton bud trick, just to see its effect on me. You are so beautfiful, Athena! Great post and tips! The finished look is amazing and you are beautiful! Great tips and beautiful color! I love going for brunch too! Breakfast/lunch, perfect combo! This was such a fab post! You went into so much detail, and it looks amazing! Rimmel 107 is definitely one of my go to lip colours for December!